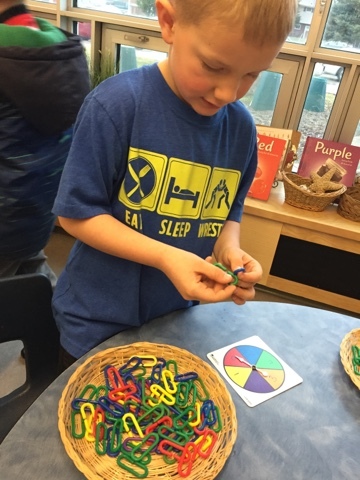 We used probability tools with links today to encourage and reinforce subitizing, adding, and measuring concepts with children. 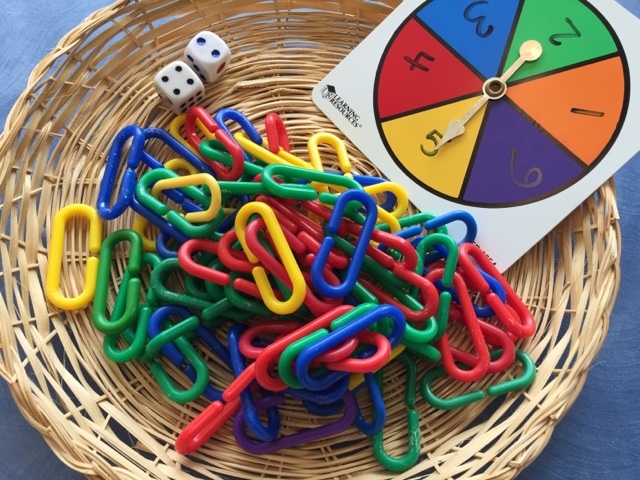 Players had a choice of using a spinner or dice. 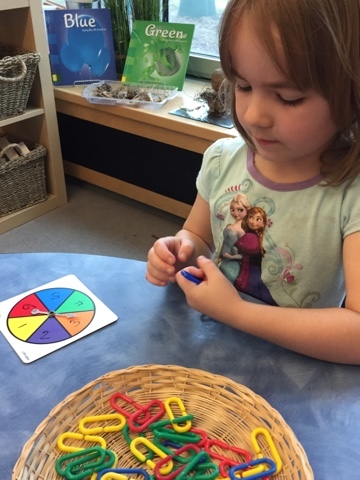 The purpose of the activity was to spin or roll in order to arrive at a number. 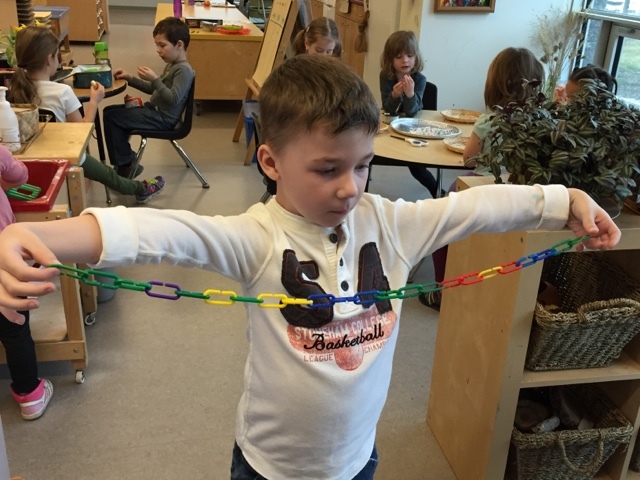 Then the child added that many links to the chain. 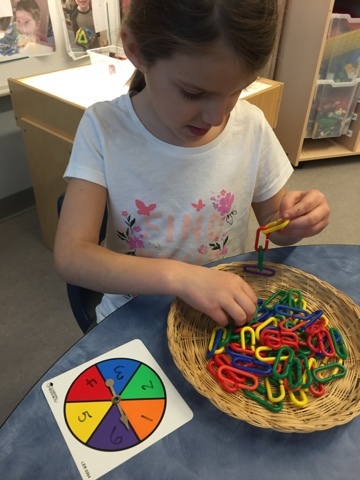 The more rolls or spins the longer the chain became! 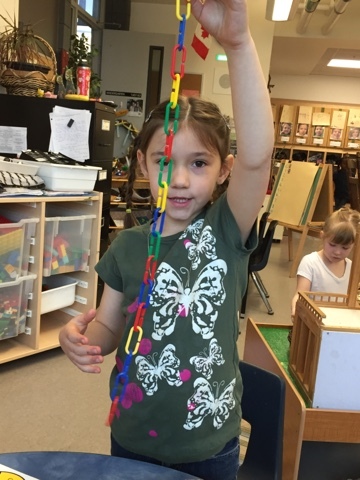 Rich measurement talk emerged as the children noticed how long their chain was growing and compared their chains to see who had the most links (or longest chain)! 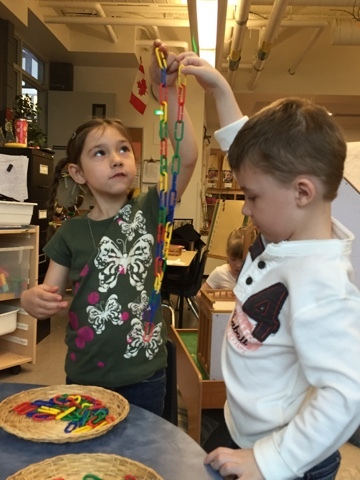 The longer the chain, the higher number of links the child had which challenged them to work with large numbers. 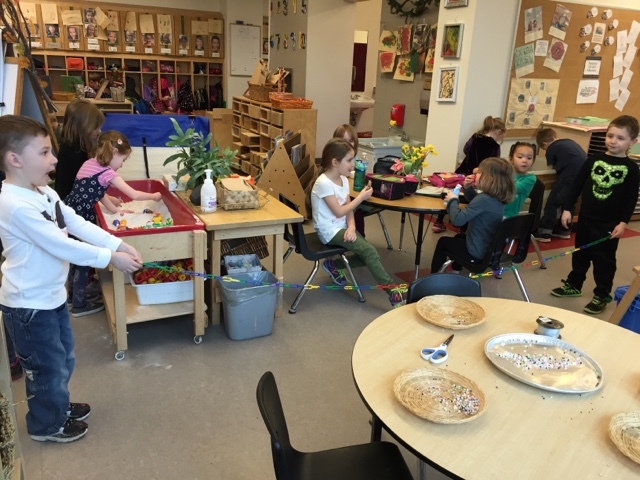 Some children even walked around the room with their chain, trying to find things that were the same length or to find things that were longer/shorter than it! 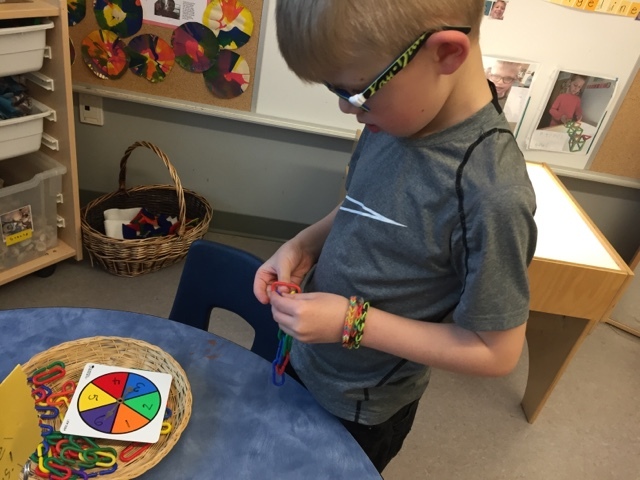 An added bonus? 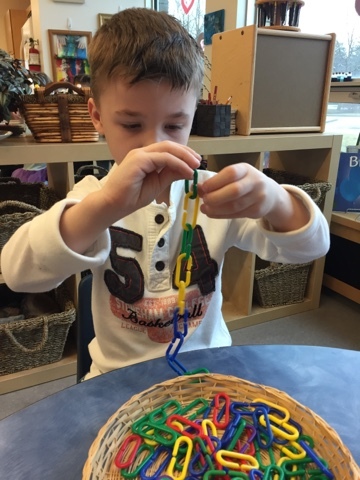 The work with links helped children practise and persist with fine motor skills!